Billy Jean was released in 1982 and it was No. 1. We are going to remember him with this Balmain jacket. Icon for his music and also for his style. glass by Angeles Almuna Design. His Moonwalk movement who everyone wants to copy but he was the best. The Best album ever. It has worldwide sales exceeding that of 104 million. Michael Jackson has received thirteen Grammy awards and charted thirteen number-one singles in the United States. Fabulous choreography and very innovated. He was beyond fantastic...his music will live forever. 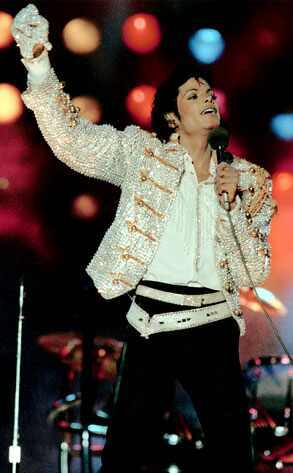 Billie Jean was my favourite! he's the king now and forever . I was just thinking about Michael's sequin band jacket the other day! What a unique artist. such an incredible talent, may he rest in peace! in love with sequins. love it . and mj. love him. stylish as always. Thank you all for your comments; the truth is that he created in me a great interest in dancing and music. Now that time has passed, I have more artistic experiences and I must thank him for his unique music and choreographies. Michael opened our eyes and mind to be much better and more innovative.